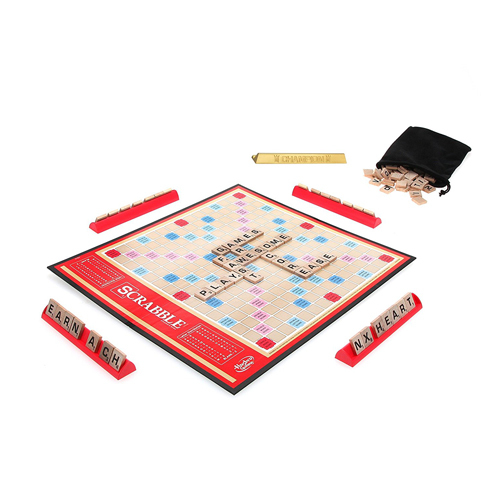 Scrabble is the ultimate crossword game in which every letter counts. 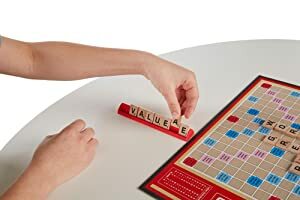 Grab your friends and take turns forming words on the board. After playing your turn, count the value of all the letters in every new word that you formed. Don't forget the bonus points for placing letters on premium squares. 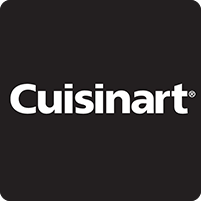 Double letter. Triple word. It's all about playing words on the high-scoring hotspots to get ahead. Played a Q on a triple-letter score? Your score just got a lot bigger. 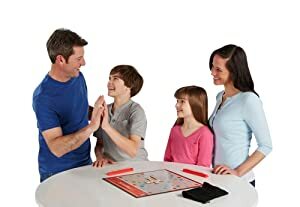 Use all your 7 tiles in one turn, and score a whopping 50 points in addition to your word score. Knowing the rules and a few tricks will help you to score more points and improve your chances of winning. At the end of the game, the player with the highest score wins. The Scrabble game is a perfect way to spend time with friends and family, whether it's a quiet night at home or a party at a friend's house. 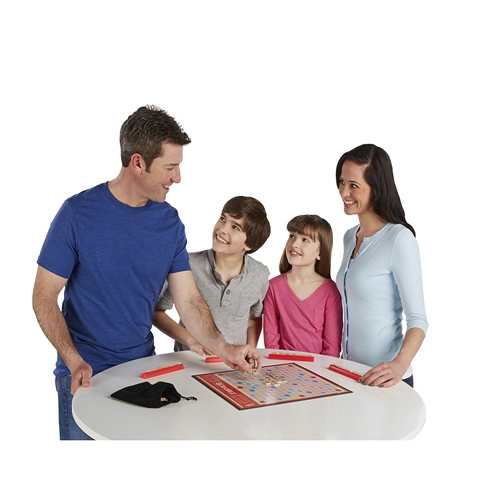 This competitive word game can make any event more interactive, fun and interesting. Gameboard, 100 letter tiles, 4 tile racks, 1 drawstring letter bag, and game guide. 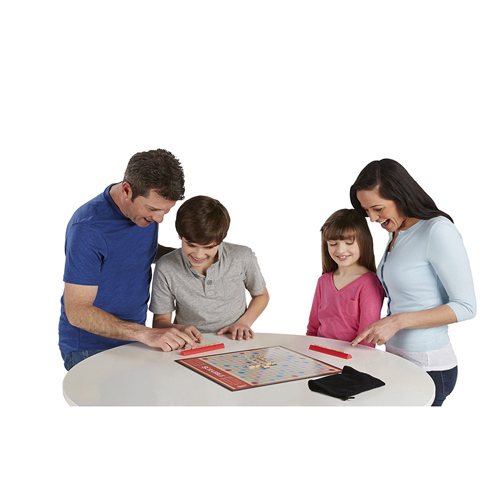 Hasbro Gaming and all related logos, properties and characters are trademarks of Hasbro. 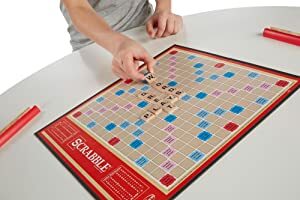 Scrabble is a trademark of Hasbro in the US and Canada only. 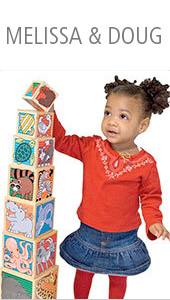 Put letters together, build words, add up your points and win! 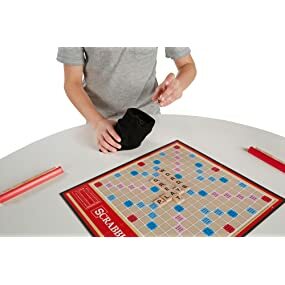 This classic game features the classic Scrabble equipment for a big-time word-on-word showdown. Do you see a word your opponent hasn't seen. A double or triple letter or word space that will let you earn big points. Could the luck of the draw win you the game. 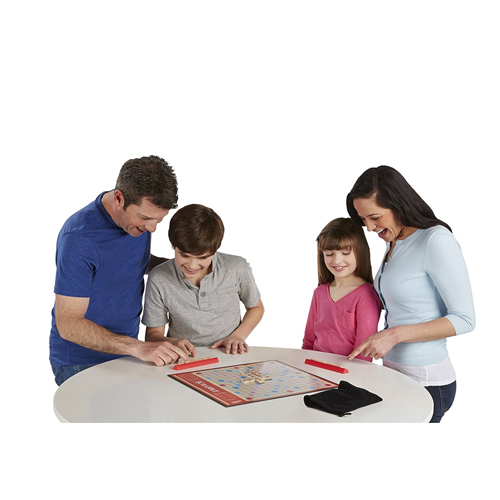 Use your letters to score points and challenge your family and friends. It’s your word against theirs! 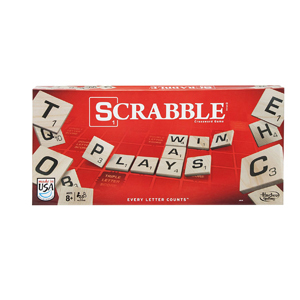 Scrabble and all related characters are trademarks of Hasbro.